Beautifully Renovated Historical Church...formally Silver Chapel at Ft. McClellan. Built in 1930, this church features Exquisite Architectural features throughout the interior and exterior of this church. 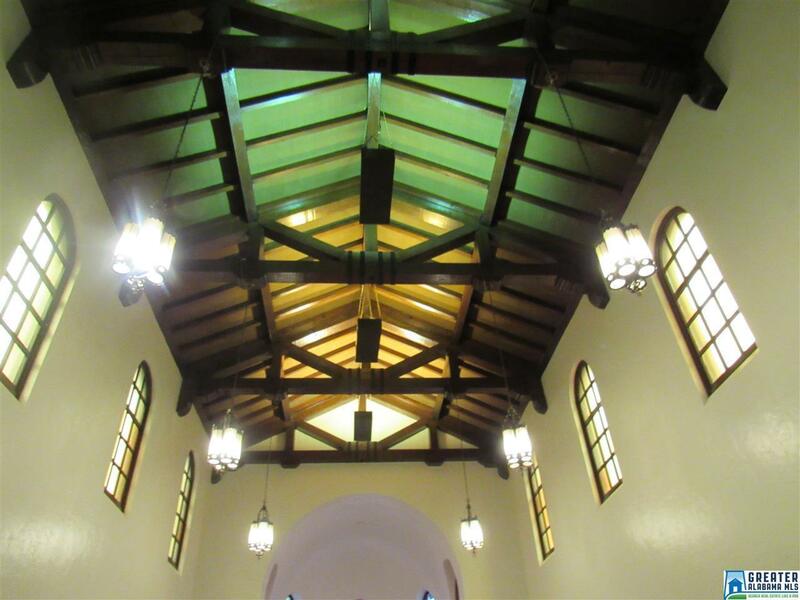 Soaring ceiling heights in the sanctuary accented with exposed wood beams. 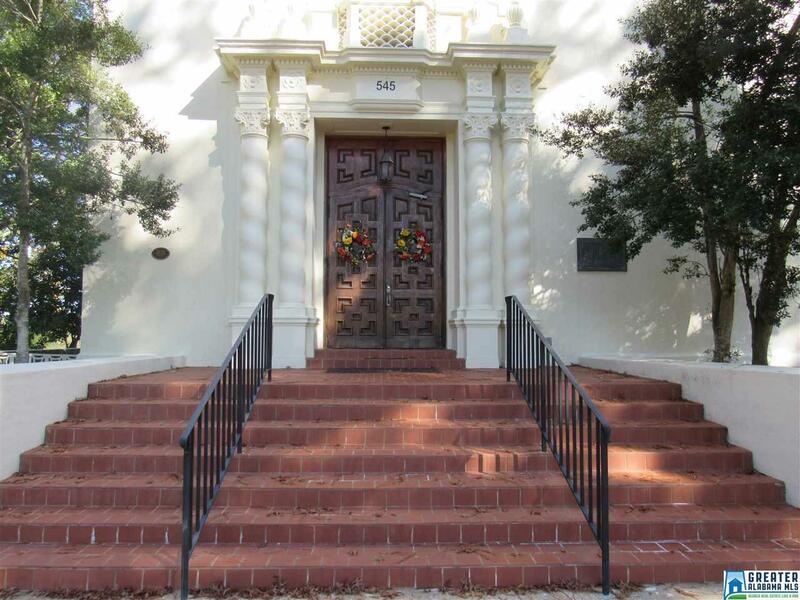 Original stain glass windows, Spanish tile floors and roof, massive double doors in front entry, New interior and exterior paint, lighting, bathroom fixtures and appliances, etc. throughout. New sound system, security system with cameras. Pastoral office, sound system room and bathroom on main level. 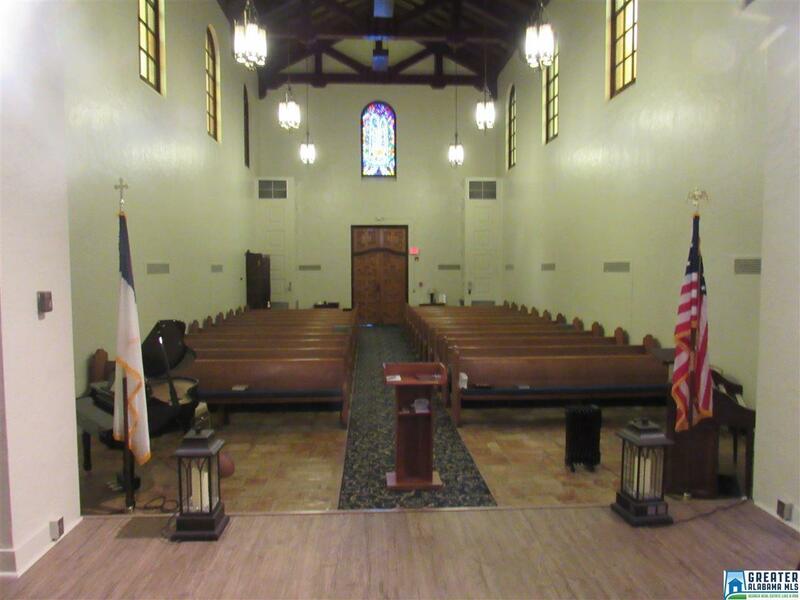 Large foyer at side of church with entrance. Basement has 2 bathrooms, large open meeting area, plus various storage areas. All furniture and fixtures to remain. Stately and Ornate! A real masterpiece with old world charm! 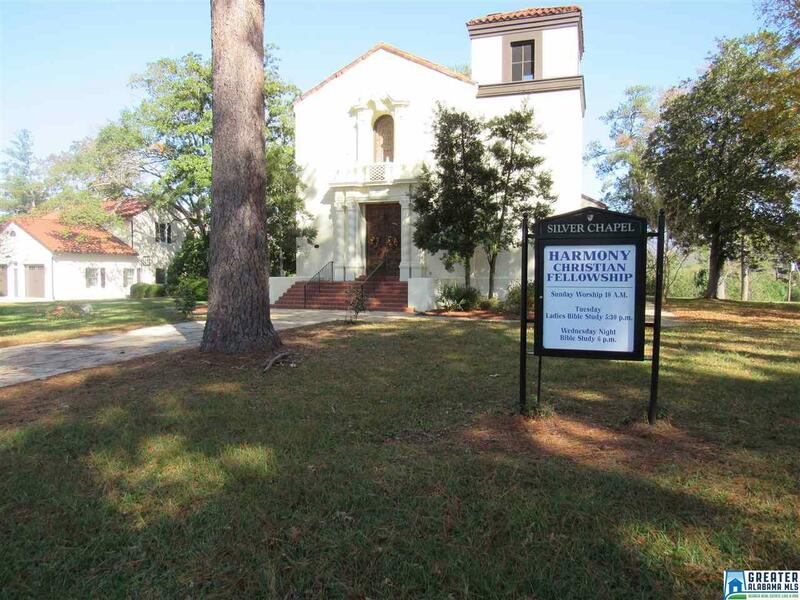 Building Name Harmony Christian Fellowship Inc.